Around 1760, power driven machines began to replace hand- and animal-powered tools. The use of powered machinery enabled mass production and large scale exploitation of natural resources. This was the beginning of the Industrial Age. On July 16, 1945, American scientists assigned to the Manhattan Project detonated the first atomic bomb. The weapon was code named: TRINITY. This event ushered in the Atomic Age. In the late 1960, and early 1970s, the first microprocessors were developed and mass produced. These devices formed the core of the first generation of digital computing devices. This period marked the beginning of the Digital Age. In August 1981, Microsoft released the Disk Operating System (MS-DOS). This closed-source operating system provided the interface by which users could deliver instructions to the microprocessor. The Disk Operating System bridged the gap between human-readable instructions and machine language coding. DOS also provided drivers which allowed peripheral devices like printers to connect to and communicate with microprocessor. The text-based, command line, DOS interface soon gave way to a graphical “point-and-click, drag-and-drop” means buy which users could deliver instructions to the microprocessor and connected peripheral devices. Programmers would soon write applications that ran atop the operating system. These applications consumed and produced ever increasing amounts of data. Hardware abstraction, virtualization, and cloud computing technologies emerged in order to handle exponential growth in data. This was the beginning of the Information Age. In the paper Professors Doudna and Charpentier, respectively, describe the molecular mechanisms bacteria employ to defend themselves from viruses. Researchers had discovered the immune system of some of the tiniest living organisms in existence. Clustered Regularly Interspaced Short Palindromic Repeats. 2) The Cas9 “cutting” protein. A synthesized RNA molecule, known as guide RNA, is coded to locate specific segments in double stranded DNA sequences. At the specified location, the guide RNA “unwinds” the targeted DNA sequence. The guide RNA binds to the invading DNA strand. The Cas9 protein cuts, or “knocks out” the sequence of the double stranded DNA molecule to which the guide RNA is bound. CRISPR-Cas9 allows researchers to insert another DNA sequence into the location of the knock out. This results in a desired DNA mutation. The hacking of computers has given way to the hacking of living organisms. The Eugenics Age has arrived. CRISPR-Cas9 is being called the biggest scientific breakthrough since the atom was harnessed to produce energy. Just like atomic energy, CRISPR-Cas9 “gene editing” holds great promise. In the wrong hands, this technological breakthrough poses a great peril to the entire human race. "...researchers from Temple University managed to eliminate HIV-1 DNA from T cell genomes in human lab cultures, and when these cells were later exposed to the virus, they were protected from reinfection." There was great excitement over this result within the HIV/AIDS research community. "..gay and bisexual black men have a 1 in 2 risk of [HIV positive] diagnosis, while Hispanic men have a 1 in 4 risk and white men have a 1 in 11 risk." "...despite other studies showing black people do not engage in more risky sexual behavior compared to other racial or ethnic groups. The racial difference in risk extends to women as well, with 1 in 48 black women likely to be diagnosed with HIV in their lifetime, compared to 1 in 227 Hispanic women and 1 in 880 white women." All roads to the cure for diseases and genetic abnormalities involve experimentation on human embryos. Herein lies great peril in the use of CRISPR-Cas9. One faction of geneticists oppose the use of CRISPR-Cas9 on human embryos. Another faction supports limited use of human embryos in genetic engineering experimentation. Still other groups press forward with gene editing of human embryos in laboratories around the world including China. “Off Target” mutations pose a major concern. When CRISPR-Cas9 is deployed, it will locate and modify the target gene or sequence. 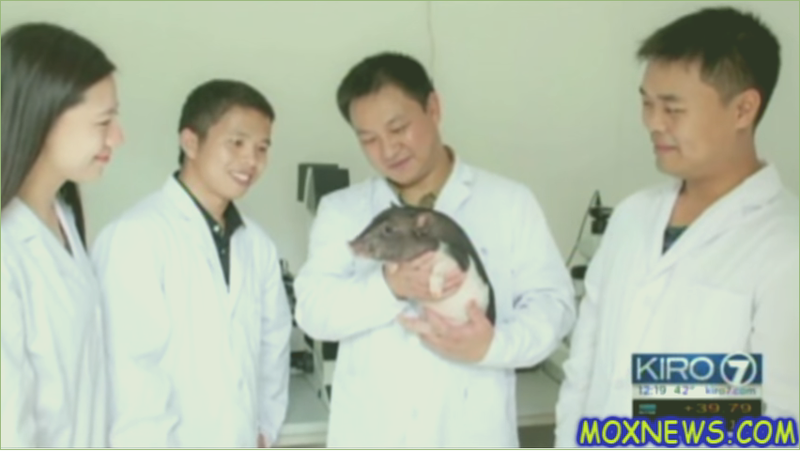 However, scientist have discovered that other segments of the genome of animals, or even human, may match the sequence they initially targeted for mutation. The potential hazard is that RNA can cause mutations at OTHER unintended locations along the double stranded DNA helix. These “Off Target” mutations are highly unpredictable and nearly impossible to predict. human embryos. Their research was part of an effort to modify the gene associated with a potentially fatal blood disorder. Yes, that's all you need. You too can play Frankenstein in the comfort, at least for now, of your own home genetics laboratory. says Stanley Qi, a systems biologist at Stanford University in California. 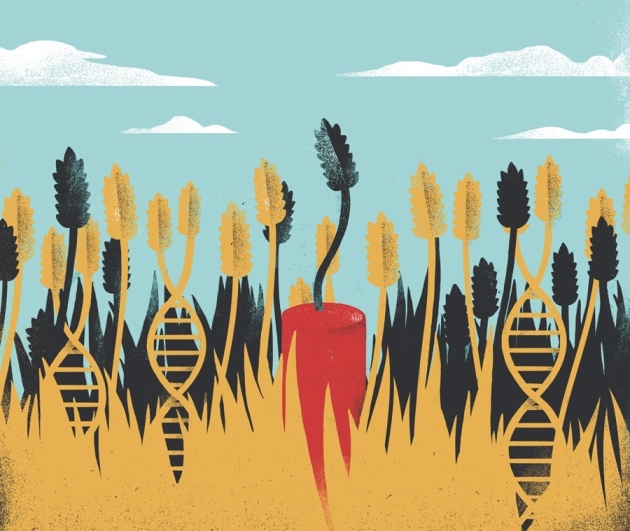 of previous gene editing methods and procedures. Jennifer Doudna is one of the scientist credited with the development of CRISPR-Cas9. Kits now are available via mail order. In the rush to apply it, many “researchers” do not fully appreciate the danger and potential negative consequence. Samples of potentially lethal pathogens are included in many of these mail order CRISPR-Cas9 kits. "..everything I needed came in a small cardboard box—an assortment of bottles, tubes, plates, powders and liquids (plus E. coli).."
"DIY Bacterial Gene Engineering CRISPR Kit"
allows the buyer to genetically modify E. coli to become resistance to the commonly used antibiotic streptomycin. Antibiotic resistant strains of bacteria represent one of the greatest challenges to hospitals. What if someone's DIY experimentation with E.Coli results in "Off Target" mutations of the bacteria's genome? What if those mutations result in a new, more virulent and deadly form of the bacteria? Could drug traffickers use DIY CRISPR-Cas9 kits to genetically engineer super strains of highly addictive "mutant" marijuana and poppy plants? 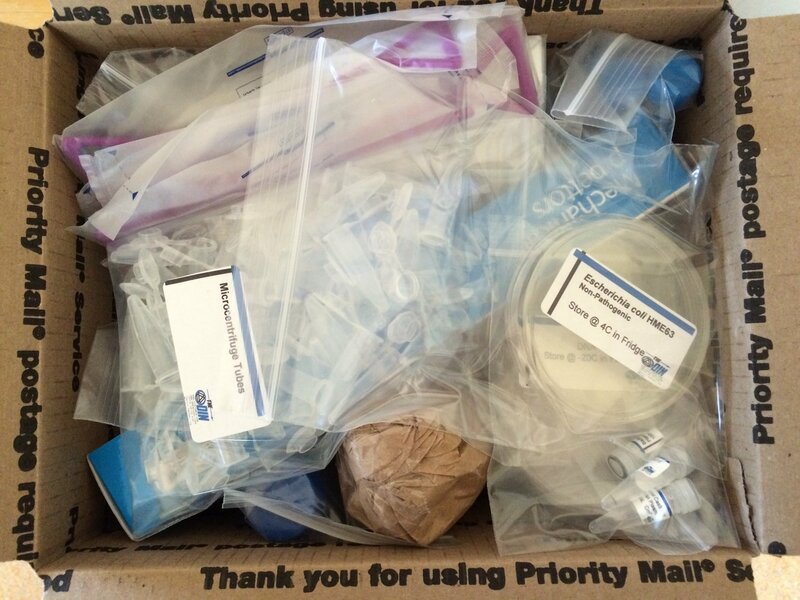 Could terrorist groups use these DIY kits to genetically engineer highly lethal strains of anthrax? The possibilities and the perils are limited only by the imagination. In other words, the effort to cure one patient’s sickle cell anemia could introduce genetic modifications to their offspring (and beyond). These genetic mutations could prove to be more devastating than the original disease. Unethical or immoral uses of CRISPR-Cas9 can result in changes to an individual or an entire group of people without their knowledge or consent. These genetic modifications would be irreversible. Germline modifications could be used for genocidal purposes. 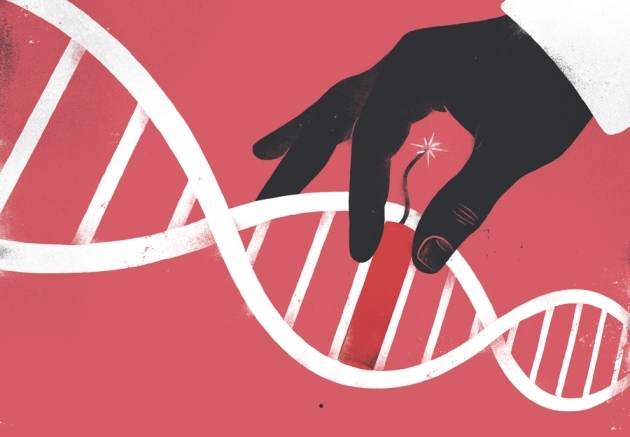 Ethicists and futurists fear that CRISPR-Cas9 could be weaponized to spread a lethal, or at least harmful, and irreversible genetic mutation through generations of a target group. Genetic mutations occur in nature. They typically work their way slowly through a population sometimes over the course of millions of years. Gene Drive can accelerate mutations through a population in the matter of a few generations. In the wrong hands, CRISPR-Cas9 could be used to spread lethal genetic mutation to a target population. This kind of capability has been the "Holy Grail" of the eugenics movement for more than a century.